GrabWarrior was designed to help you maximise your earnings on the road. The more you drive with Grab, the higher your earnings! Tip: All hours count for the entire week, so drive as much as you like. 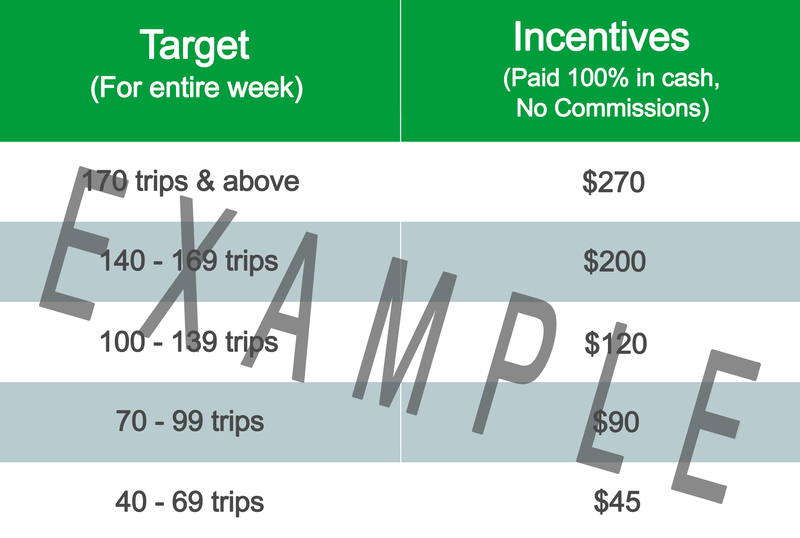 Here’s an example of an incentive table you will see in your Driver App. *Numbers shown are for illustration purposes only. Kindly refer to your Grab Driver app for more details. If Mr Tan completes 170 trips this week, he will earn $270 ON TOP of his fares and other rewards. It’s that simple – the more trips you complete, the higher your rewards! Don’t forget to follow the AR, CR, DR criteria to qualify for the incentive. Unless otherwise stated, only completed trips for GrabCar 4-Seater Economy, GrabCar 6-Seater Economy, GrabCar 4-Seater Premium, GrabCar 6-Seater Premium, GrabFamily 4-Seater, GrabFamily 6-Seater, GrabShare & JustGrab are eligible for incentives. Do note that GrabShare bookings will affect AR/CR/DR for GrabCar incentives. Grab reserves the sole & absolute right to forfeit incentives and suspend accounts of Partners who do not follow GrabCar’s Code of Conduct. Grab’s decision is final and conclusive – requests for appeal and review will not be entertained. 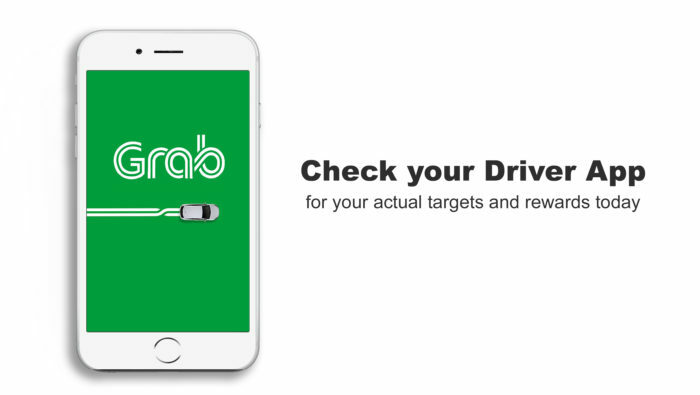 As a reminder, drivers are expected to achieve minimum performance levels on Acceptance Rate, Cancellation Rate, and Driver Ratings in order to receive bookings on the GrabCar platform. Acceptance Rate cannot fall below 30%. Cancellation Rate cannot exceed 15%. Driver Ratings cannot fall below 4.3. Partners that repeatedly click “Pick Up” and “Drop Off” without reaching the pick-up and drop-off locations requested by the passenger will have their driver account temporarily or permanently suspended. Partners with consistently low acceptance rating will face strong action and receive a reduced number of jobs. All My Destination jobs do not contribute to or qualify for incentives.